The Accelerating Rate Calorimeter 254 (ARC® 254) provides adiabatic calorimetry data in a safe, controlled laboratory environment. 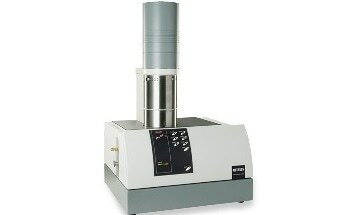 The Accelerating Rate Calorimeter 254 (ARC® 254) simultaneously measures temperature and pressure. User safety is a key objective in the design of Accelerating Rate Calorimeter 254 (ARC® 254). The user is protected by a series of safety systems that are completely independent of the control system. These safety systems work to protect the user in the event that the primary control system fails. 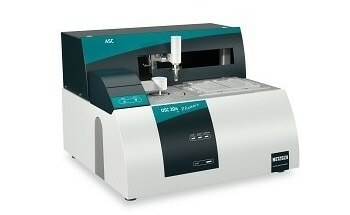 Fully computer-controlled and highly automated, the Accelerating Rate Calorimeter 254 (ARC® 254) features a graphical interface that is easy to learn and use. 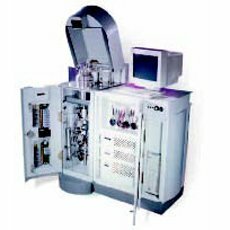 Accelerating Rate Calorimeter 254 (ARC® 254) is totally integrated into clean, modern designs in which all routinely used equipment is easily accessible. 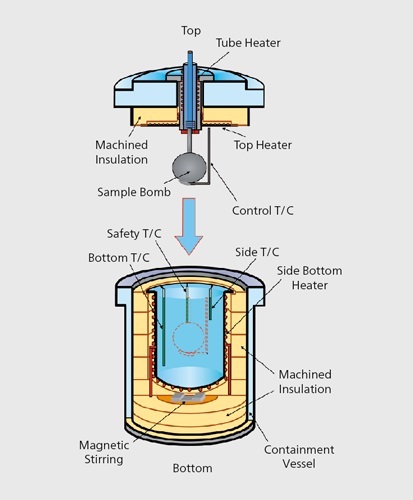 Netzsch’s Accelerating Rate Calorimeter heaters offer a controlled near-adiabatic environment for the VariPhi®, bomb, and sample system. This makes it easy to test the sample in the normal Accelerating Rate Calorimeters (ARC®) operational modes such as Iso-Track, Iso-Fixed, or Heat-Wait-Search. The heat lost to the sample bomb throughout an exothermic reaction is offset by the internal heater. The PHI (F) or thermal inertia for the test can be defined by users. All or part of the heat lost to the bomb wall to the sample is returned by the heater. Users can even define the actual thermal inertia at which to perform the test. 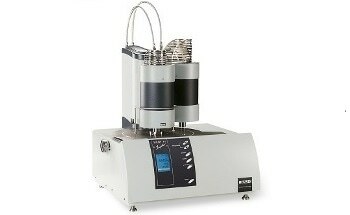 The heat capacity of the sample is determined as a function of temperature. Users can run the tests at the actual thermal inertia at which they will run in a storage container or the plant. Kinetics that relies on thermal inertia, like competing reactions, cannot be compensated mathematically. Now, such issues are completely eliminated. It is possible to correct thermal inertia without extrapolating kinetics from multiple and overlapping reactions. The data, thus acquired, will correlate directly to the exact run or storage conditions, thereby making it much easier to pass the data to non-calorimetry specialists. Users can utilize the VariPhi® technology as an additional heater and can run ramp tests with the ARC®. 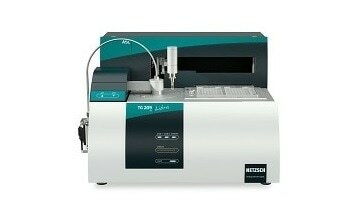 The ARC® provides enhanced information regarding a sample’s activity. When VariPhi® operates in scanning mode, it can determine pressure, heat capacity, endothermic and exothermic activity sample in a faster and more cost effective way compared to traditional differential scanning calorimeter. Used as a controlled variable DC heater in ARC®, the VariPhi® provides the exact simulation of real-world thermal environment. The advanced calibration software in VariPhi® controls and records the quantity of energy supplied by the internal heater. 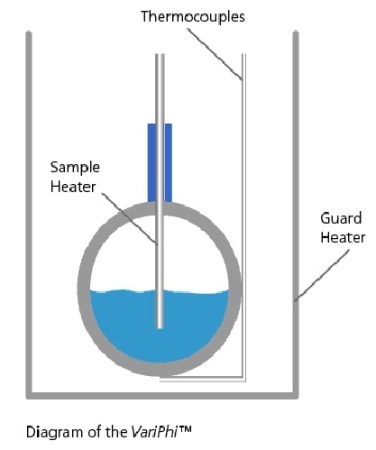 By using VariPhi®, pressure, heat, and activity within a sample can be accurately determined, and complex mathematical corrections can thus be prevented.